This home has it all! Private corner lot with no two story homes behind it. Low maintenance landscape with resort style backyard. Large covered patio, built in gas BBQ, synthetic grass, heated pool and spa. 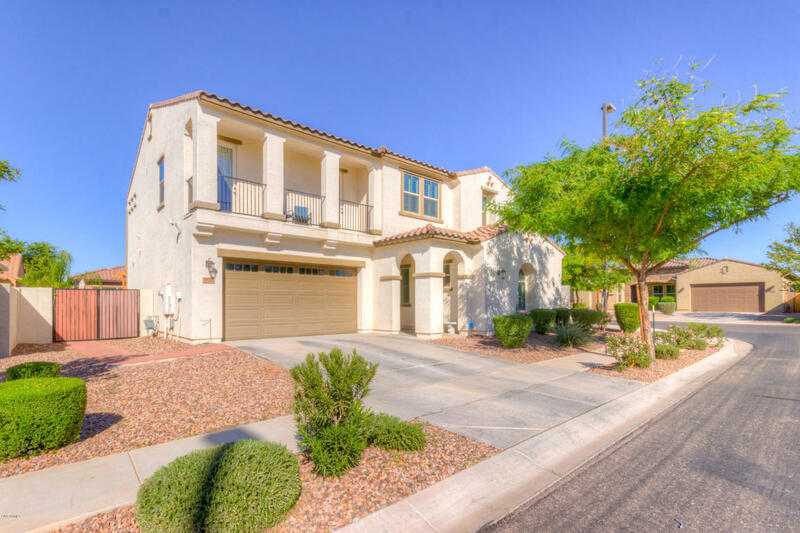 Open the front door to a beautiful foyer that leads to a full bedroom and bathroom on the main level, a formal dining area, and a tandem 3 car garage. An open gourmet kitchen that offers: over sized island, gas cook top, double ovens, granite counter tops, a breakfast bar, a butlers pantry and so much more. Spacious master suite and guest bedrooms upstairs with a beautiful Romeo and Juliet balcony. Close to entrainment, shopping and dining: Top Golf, Main Event, Joe's Farm Grill, Uprooted Kitchen, Fire and Brimstone, The Coffee Shop, and San Tan Mall.